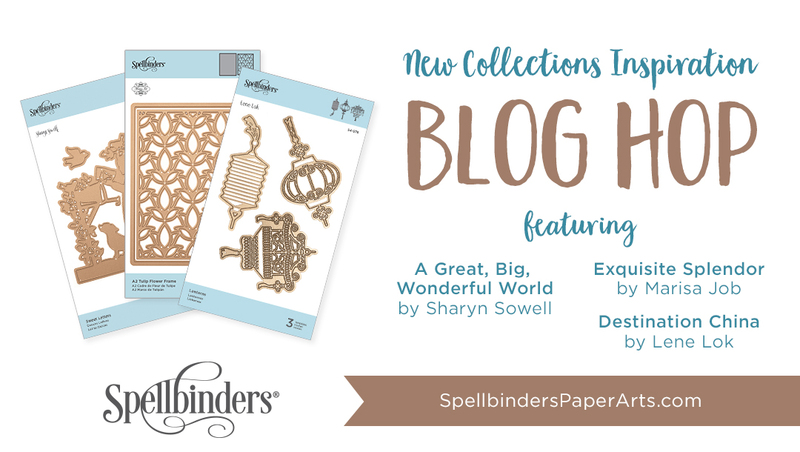 To celebrate this blog hop Spellbinders is giving away a $50 gift certificate to one blog reader – selected from the comments across all of the blogs in the hop. Giveaway closes on Sunday, December 23rd at 11:59 pm EDT. The winner will be announced in the blog hop post the following Monday. Ob tem skakanju po blogih bo Spellbinders podaril $50 darilni bon enemu bralcu, ki bo komentiral na blogih, ki so vključeni v hop. Nagradna igra se zaključi v nedeljo, 23.12.2018, ob 23:59 EDT. Zmagovalec bo objavljen na Spellbinders blog postu namenjenem hopu v ponedeljek. Beautiful cards, beautiful dies. Your backgrounds are gorgeous. Two beautiful cards -- so elegant looking! Very pretty cards. I like that the Chinese dies are versitile enough to be used with many different designs. Lovely cards! The backgrounds are very nice. Love these beautiful cards. Great inspiration for the new China collection. 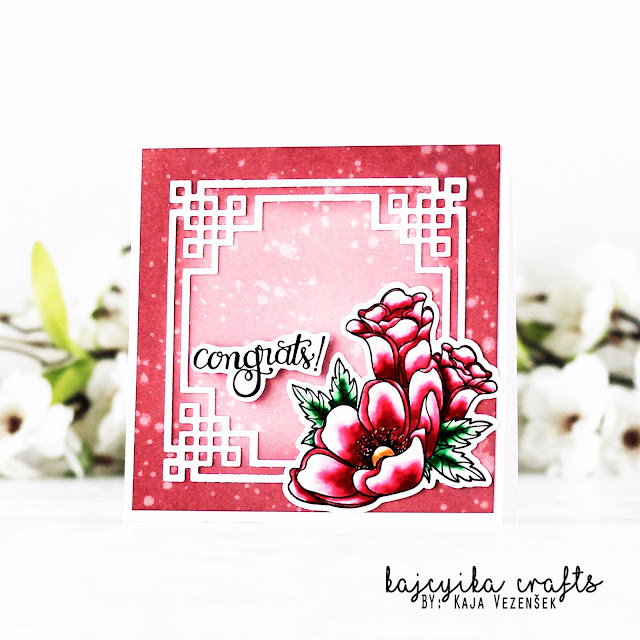 Beautiful cards using the new dies, love the colors you've used! The way you colored the flowers is incredible! Great card design! Love these dies! I love it when you like something so much it makes you do followup projects! That makes it so much fun! Very Pretty! I love the die you used! 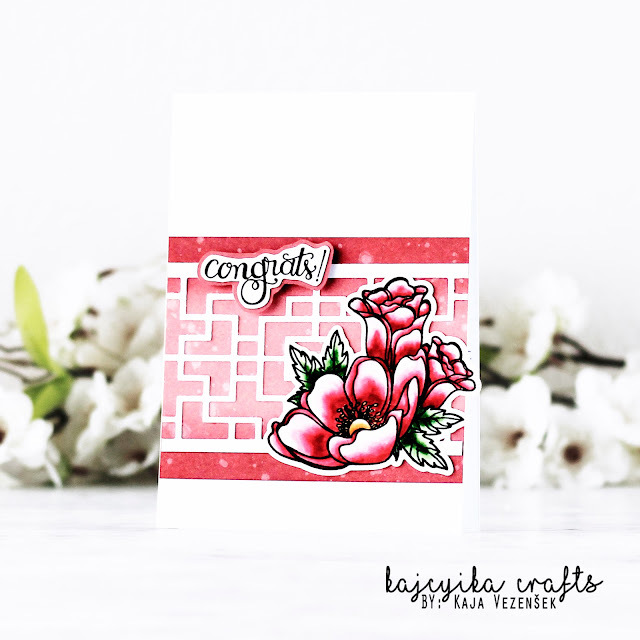 Fantastic coloring on this sweet card combined with that cool die! Such a beautiful card, I love the colors! The geometric shapes mixed with the florals create lovely designs. Thanks for sharing this inspiration with these fun products. Gorgeous card! Love the die and the flowers! Beautiful coloring! Wow, stunning card! Gorgeous watercoloring and I love the organic florals against the geometric dies.